“Khana!! Ye lighting shigting phool bail sab bhool jaega”. Isn’t it the truth? Desi weddings are all about food in the end. All the guests will talk about shaadi ka khana more than anything else. What about the bride and groom? I was that bride who couldn’t enjoy the food of her own wedding (various reasons including the nose jewellery I was wearing lol). Wedding is the most important day of one’s life and what pity that you don’t gotta eat your favourite meal on the biggest day of your life. Damn!! Heartbreaking. Times are changing and so does the rituals. What an amazing couple Munawal and Zubair are to break the stereotype of desi wedding food on their wedding day. The bride loves McDonald’s and the groom loves her, so he takes her to a McDonald’s right after their Nikah event. And they went there in their wedding attire. Imagine!! I don’t know which branch it was but wasn’t it surprising for McDonald’s staff or other diners? I am sure it was. I find it so cute tbh. Kinda wedding goals. Oh Gosh!! I was so hungry when I had to travel for 5 hours after my rukhsati and there wasn’t any McDonald’s on the way back then. I am not crying, you are. *wipes tears* Why am I having flashbacks of my own wedding. Kinda regret not going to McDonald’s, perhaps. Can I call this a McFairy Tale wedding? Absolutely delicious beginnings. Imagine gobbling down your favorite McMeal on such an important day of your life. How celebratory. Thank you Munawal and Zubair for thinking out of the box and being so casual about your desires. Such chotti chotti khushyian makes life worth living for. Wishing you a wonderful and McDonald’s filled life ahead. 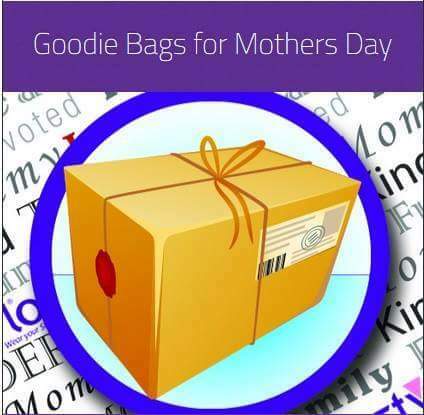 Mothers day has become a cyber gala of celebrations in past few years. Brands tend to come up with unique offers, contests and lots of prizes to engage their consumers. What brand comes to your mind when you think of #MothersDay or moms? I came to think of Dalda instantly because of “Jahan mamta wahan dalda” aur “Tang Maan k hathon ka pyar” . It will be of great disappointment if these two brands haven’t come up with something unique this Mothers day and guess what? 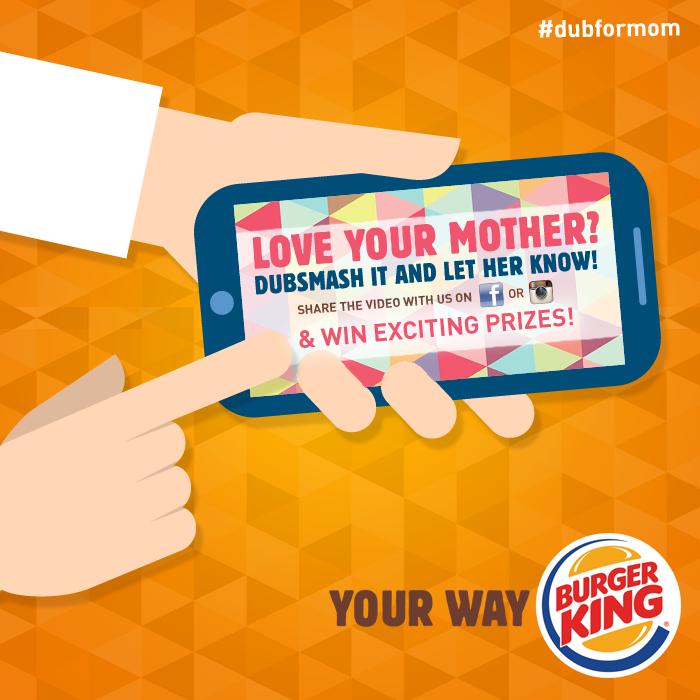 They have pretty decent mothers day campaigns which you shouldn’t miss participating. Here are my picks from a lot of #MothersDay 2016 digital campaigns and product related activities so that you can try your luck too. 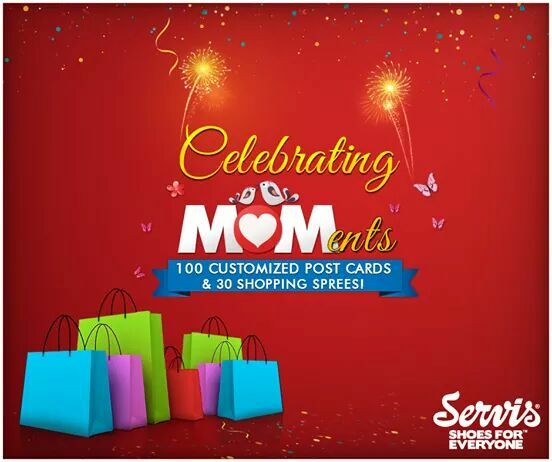 Social Media Community called Mothers of Pakistan has been formed to honor mothers, where people from all over Pakistan are requested to share a message in text/image/video form for their mothers to make them feel special. The objective of this campaign is to pay a tribute to all the Mothers of Pakistan and honour the efforts they make for their children at each phase of life. Dalda Foods and TCS Sentiments has joined hands with this community by offering giveaways. Do participate by sharing a message for your mom with #MothersOfPakistan. Tang has a unique activity going on. The idea is to send personalized pre-recorded messages. All you have to do is give a missed call on Tang’s special number. You will then receive a call and following the instructions you can record a message for your mother. On Mother’s Day your mother will receive a call from Tang in which your pre-recorded message will be played. How cool is that? Imagine your mom listening to your voice message while you’re in front of her? I am hoping there are more surprises for moms with this call. IYKWIM. 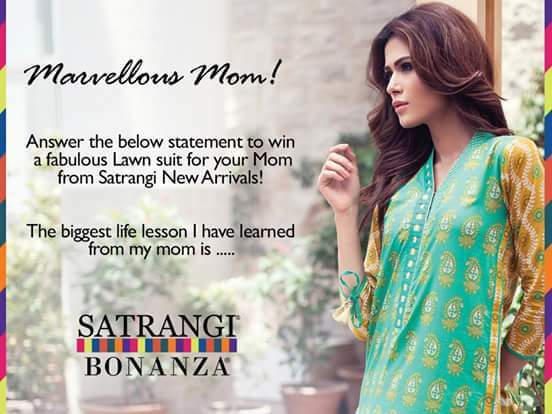 I must say these are different from the usual mothers day happenings and coolest desi Mothers day campaign around. They’re also hosting a blog competition. She is your First Love. First Friend. First Teacher. This Mother’s Day, roll out the red carpet for your mother & give a wonderful start to her day at Avari Tower’s Marvelous Mums Sunday Munch! I personally feel that there should be more than just 15% off but Avari Towers has the best view and pretty tasty food. Make a reservation & serve your Mum coz she deserves a day out. Are you doing enough for your mom? That’s what Mcdonalds Mothers day campaign made you wonder. Musteal baby products range is going to make moms win via “Mother’s Day 2016” lucky draw. 3 lucky Mommies will get gift hampers for their little darling. Happy shopping and Winning Folks!! Amid all these celebrations don’t forget to hug your mom often. Every day is a Mothers day afterall.